Thank you to Whole Foods Market for sponsoring today’s post. All thoughts and opinions are my own. Clean beauty favorites are sometimes hard to come by. I’ve tried a ton of different beauty products, and I’ll be honest, a lot of them have been a fail for me. Natural hair products often leave my hair greasy, some skincare products just don’t really feel like they “work”, and the makeup products I’ve tried just don’t match up to their competitors. 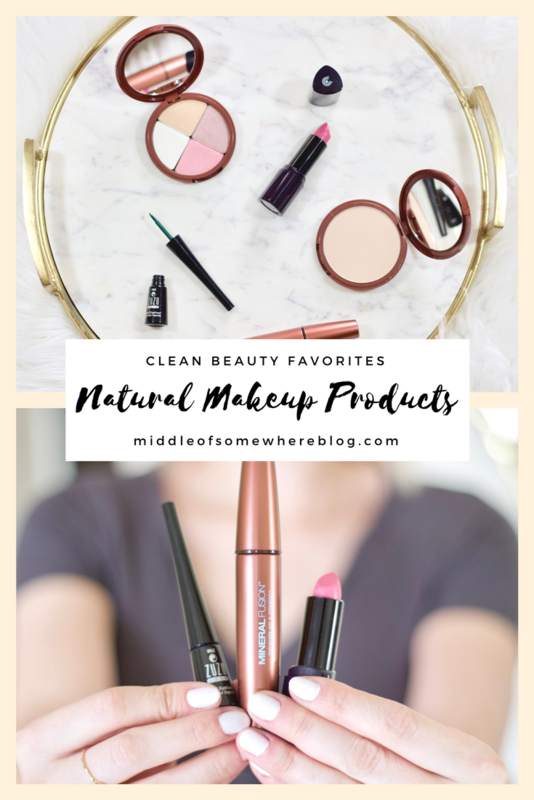 I’ve shared a few posts before regarding my preference to try to find beauty products that are clean, natural, and non-toxic. 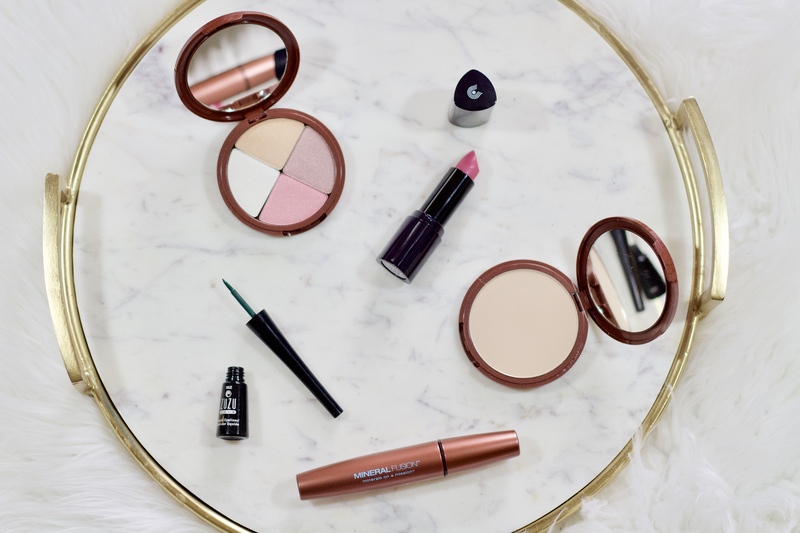 Finding quality makeup products that are naturally derived (and of course look great!) is something I’ve been on the hunt for, and I think I’ve finally hit the jackpot! I recently had the chance to stop by my local Whole Foods Market to check out their amazing selection of beauty products. I often shop for groceries at Whole Foods Market, but had never shopped in their beauty section before. Man, have I been missing out! 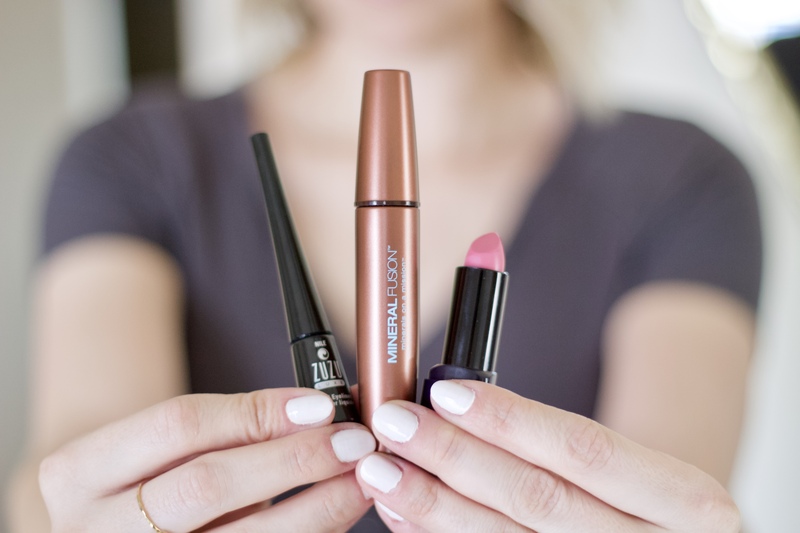 Of the 5 products I tried, my absolute favorite is the Mineral Fusion Lengthening Mascara. I am really picky when it comes to mascara, and this product truly beats out anything else I’ve tried. It does not flake, lasts all day, and truly does make my lashes look longer. 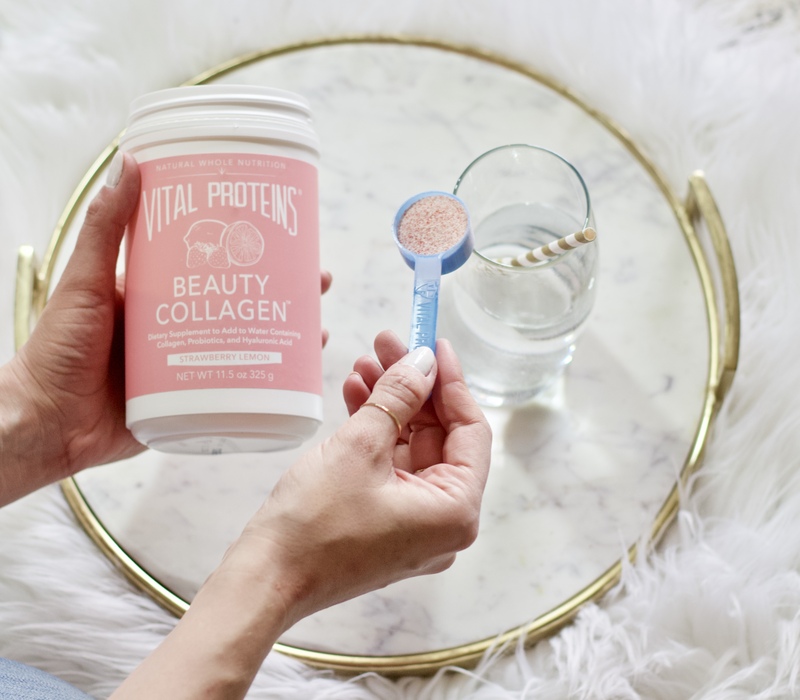 Another product that definitely helps with lengthening my lashes are the Vital Proteins Beauty Collagen. You may already know if you follow me on Instagram that I swear by taking collagen every day. The Vital Proteins collagen is a great option if you prefer to mix something into water versus a hot drink. I also really love the Zuzu Luxe liquid eyeliner. I almost picked it up in black, but then decided to have a little bit of fun and went for this gorgeous emerald shade. 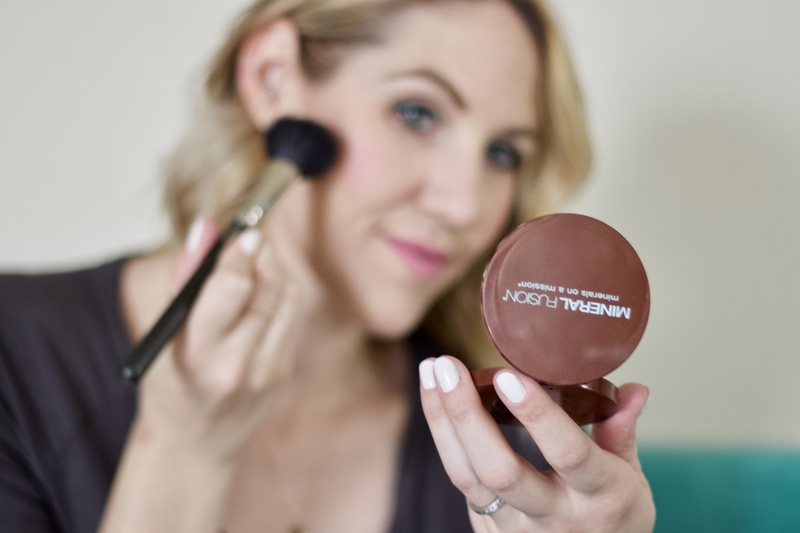 The liner goes on very easily, thanks to the applicator brush, and lasts all day! I love how it looks paired with a light pink lip too. I am really enjoying the formula of the Dr. Hauschka lipstick, and know I will be rocking this shade throughout the spring and summer. Everything I am sharing today will be included in a huge sale that will be starting soon at Whole Foods Market. From March 21-27, you can get 25% off all skincare, makeup, haircare, and lip balm. All Dr. Hauschka products are already on sale, so you will be able to get an additional 25% off the already reduced price. Vital Proteins will not be included in this sale, but will be on sale as well! Pre-sale starts on March 14th, so you can stop in and pre-shop! 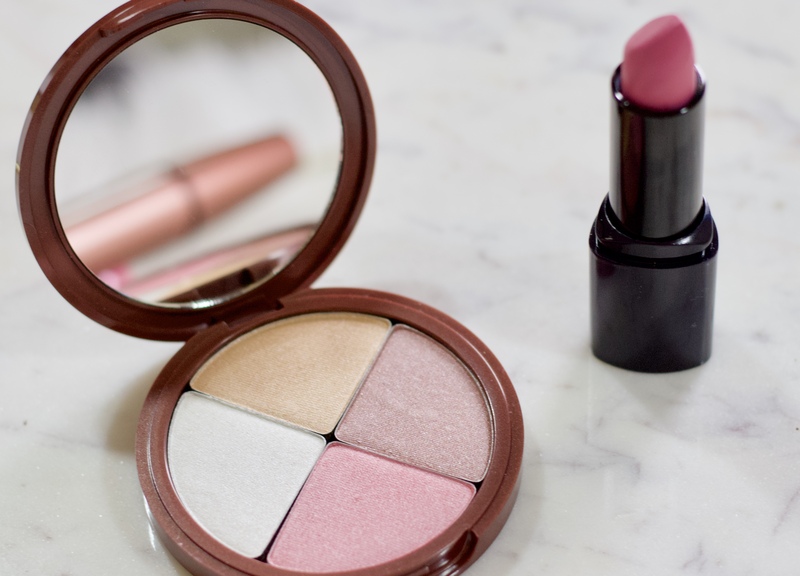 If you’re looking to make the switch to cleaner beauty products, this is the perfect time. You can read more about Whole Foods Market body care quality standards here.